"Who wants to be a teacher here? ", That was the question from Pasi Salhberg, a Finland education expert, when he visited the United States. (Anderson, 2011) The class contains 15 people. Unfortunately, only two people raised their hands. While the others were just silent. In Finland, the same question will be answered with great enthusiasm. Approximately, 25 percent of students in Finland choose to become teachers. 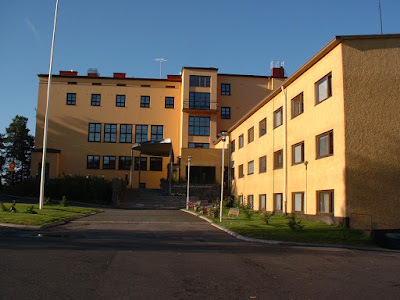 Finland is now a reference country related to the education system and paradigm. Students there get ranked first in various international indicators related to educational achievement. A teacher only teaches four hours a day in class. In a week, each teacher has two hours to develop themselves with full support from the school. Every year, around 2500 students compete to become teachers, after they graduate from college. In fact, there are only 120 places each year for the teaching profession. Sahlberg also added that in Finland, the teaching profession is more valued than a variety of other professions, including doctors and lawyers. The high quality of teacher power is the key to the success of the Finnish education system. This is all outlined in a book entitled Finnish Lessons: What Can the World Learn form Educational Change in Finland ?, by Sahlberg. Finland is a small country. The population is only around 6 million people. This fact is one of the elements that makes structuring the education system in Finland is easy. However, this is not the only important of success element in Finland education system. Formal education in Finland starts from 7 years old. Before that, children are only accompanied by playing according to their tastes. Homework is also very little. All forms of testing are postponed, until the child has reached adolescence. Even so, Finland students continue to get first place in various international indicators which include reading, counting and writing. This ranking is consistent since 2001, until now. Because of this, Finland continues to receive visits from various educational institutions in other countries. There is something unique in their education system. Two other things that are important to note. First, Finland is a homogeneous country. Only about 5 percent of citizens come from other countries. The factor of very cold weather certainly makes many people reluctant to move and live in Finland. Second, Finland is a very prosperous country. The system of socialism sustains the country, so that the gap between the rich and the poor is very small. The labor party has a large political influence there, so that all government policies are always guaranteed to lead to the prosperity of the working class, and not just the class of the economic elite. However, Findland education system does not come from the sky. About thirty years ago, their education system was very dilapidated. Many children have difficulty getting proper education. The bureaucracy is very thick and inefficient. Teachers have low income, and are not seen as noble professions in society. Tests and tests are the main reference in the assessment of students. In the early 1970s, Findland government required all teachers to get a Masters degree. The cost of teacher education to post graduate level is fully funded by the government. Teacher unions were built, to improve the quality of education and the lives of the teachers, and protect them from the injustices that often arise in industrial relations. All forms of examinations and tests were deleted, before students reached the age of 16 years. Homework is made very, very little, even completely erased in some schools. Homework is even considered a violation of the child's right to play. As mentioned earlier, the formal education of new children begins, after they turn 7 years old. Before that, children are invited to play, and find their interests. There is no test given by the teacher. The education system is something very complex. The system is connected to a variety of other systems, including economic, political and cultural systems. In Finland, after age 16, children are asked to choose whether they will continue to vocational school (skills: auto mechanic, barber, cake maker, electrician, plumber, etc. ), or academic school (more abstract scientific research : at universities or research institutions). Both fields have an equal position, even though the contents are different. Finnish people really value the culture of equality. Gaps, both in economic form and social status, are avoided wherever possible. Education is also seen as an important process in creating social equality in society. Finland government and education experts there also dare to be critical of the wave of globalization that also hit the world of education. The bad impact the globalization of education is the standardization of education that tortures students with unnecessary tests, pseudo competition and standardization that undermines the uniqueness of each student. The school also turned into a very competitive education business, where children compete to be the best by beating their friends in the exam. Thanks to its efforts to be critical of the globalization of education, Finland also gave birth to its own paradigm of education. We can call it the Finland Way. (Weller, 2017) There are five things that should be noted. First, education in Finland prioritizes cooperation, rather than competition. For a long time, they have realized that competition in education has a damaging effect. People become selfish and ready to prey on their competitors just to reach first place. In Finland, students are encouraged to work together. Cooperation between schools is also highly recommended. Teachers do not have to apply national examinations to the same standard. Instead, they are asked to make their own examinations based on the unique circumstances of each student. Two, the teaching profession is the highest profession in Finland. They are highly paid, and their education is completely free. After getting a master's degree, they also have to take an intensive teacher training program. The Finland government is investing very much in the education sector. Three, education policies in Finland are based on scientific research, and not practical politics that are full of narrow interests. If a study promises good things, the government does not hesitate to implement it. Four, the Finnish government is not afraid to experiment. Teachers are encouraged to experiment, so that they can find ways to teach and assessment systems that are better suited to their students. If a model is considered successful, the government only recommends it, and does not force it to be applied by all teachers. The national curriculum is only a general guide, and not a benchmark that must be obeyed blindly. Indeed, children are miraculous creatures. They can be happy, and make others happy, without any reason. Finnish people assume that a child has the right to live like a child, as long as possible. They are not obliged to become adults immediately, like many people think. And most importantly, they are not obliged to carry out a variety of meaningless tests and exams.